METTA FREQUENCIES is a brand new musical project born with the meeting between two belgian dub producers and musicians called Mighty Max and Mighty Patch. Saxophonist and dub lover since early times, Mighty Patch is the Selecta of The Mighty Patch Dub Crew, a reggae dub posse from Brussels created in 2009, featuring the singers Ichman, Mic Mo Lion, and J-Low. He was also invested in the Reservoir Dub crew on Radio Panik, providing reggae dub music in live sessions, making artists interviews, and driving a new netlabel since 2013. Really fascinated by Reggae Dub culture and his foundations, the two guys met each other across belgian reggae dances, and discovered an unexpected similar wish to push up their creative vibrations. They began then to collaborate, produce and record some novel tracks together. 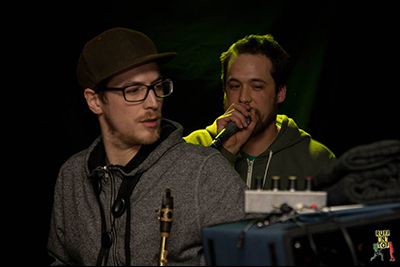 After many sessions, shows and festivals around Belgium and Europe during the last years with their respective musical experiences, the Mighty duo decided to launch a new live project mixing original reggae-dub productions and vinyls selections, along with live effects, instruments players, and singers. Starting from Roots Reggae till UK Dub influences, they propose a deep live journey into the roots of dub music.